This custom dining set was made recently for new clients who were remodeling a classic 18th century Connecticut farmhouse. The top is one board of fabulous South American mahogany, 42 " wide. The legs were turned and carved here in the shop and the chairs with this table are our classic transitional chairs with an extra little burl shell inlay on the back splats. A great combo. 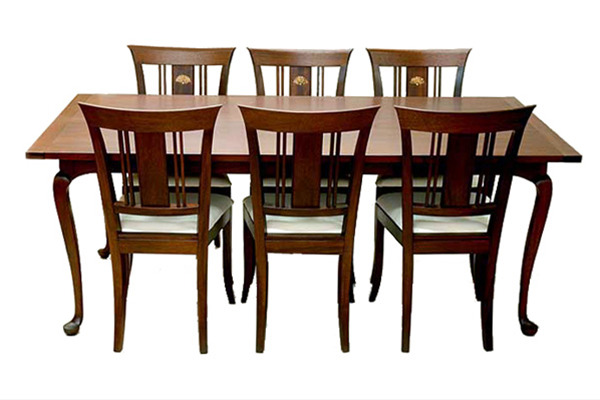 The price for a similar table with a multi-board top or configured as an expanding table can be custom quoted. 42" x 80" x 29.5"